Do you want to live healthy, get in shape, eat smart and be the best you possible? Are you looking to live healthier, smarter and reach your physical and mental potential? The Ultimate Fitness App has you covered. Travel with the Celebrity Sweat Team, as we workout with some of today’s top pro athletes, conditioning trainers and coaches, chefs, musicians and celebrities. Hit the gym with UFA and a whole new arsenal of training and fitness tips, before heading home to cook up some healthy snacks and meals. UFA is your one stop shop for fitness, fun and food! | FOOD: Eat smart with some exciting recipes, videos and meal tips from top celebrities, chefs and nutritionists. | TRAIN: Take the Ultimate Fitness App with you wherever you go and take your workouts up a notch. Whether you’re at the gym, home or on the road, we have a workout for you! 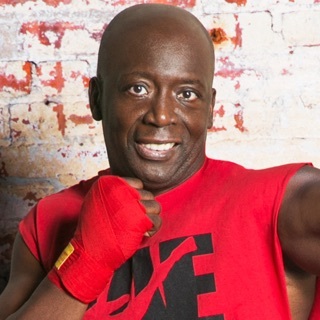 Training and Fit Tips from Tae Bo creator Billy Blanks, celebrity trainers, conditioning coaches and trainers from across the country, celebrity workouts with pro athletes, musicians and Hollywood Stars, and even great training and motivational tips from some of our favorite Military personnel. | SLEEP: A well rounded workout plan, and healthy lifestyle includes proper sleep habits and great recovery tips for when you finish up in the gym. Our trainers will share some great ways to keep your body on pace to excel. | FUN: Follow us on social media, or look for us at upcoming events across the country. Know where the Celebrity Sweat Team will be next, plan on coming out, meeting the team, and maybe even grabbing a workout! Participate in live interactive chats and blogs with top trainers. Share unique UFA emoticons with your friends, and download great playlists for the gym. 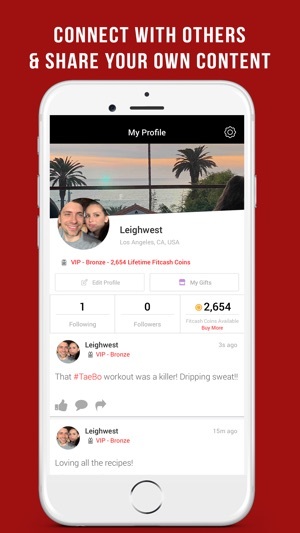 You can also earn FITCASH COINS (reward points) and redeem them for great prizes, while connecting with fitness fans from around the world. 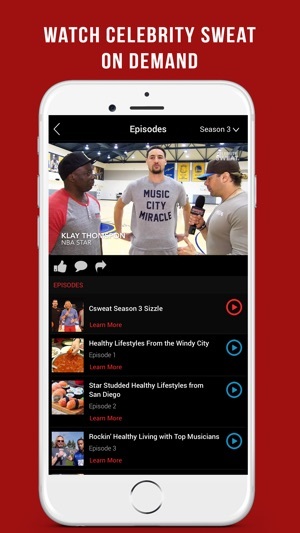 | VIP BENEFITS: Become a UFA VIP, and have access to behind the scenes special footage, video workouts, episodes of Celebrity Sweat TV reality show, and much more. Your iTunes account will be charged once purchase is confirmed. Subscription automatically renews for the same price at the end of the month or year unless auto-renew is turned off at least 24hrs before the current period ends. You can manage your subscription and turn off auto-renew from your iTunes account settings. Download the Ultimate Fitness APP and start living healthier and smarter now! This app is so immersive. It doesn’t only help with workouts, but it also helps with nutrition and sleep. It even has a fun section! Great app can’t wait to see the progress i make using it! This app helped me to understand what foods I should be eating and when I should be eating them. Thank you!